An active shooter situation is when an individual, or multiple individuals, are engaged in shooting or attempting to shoot people in a confined or populated area. If an active shooter is in your area, it is important to know how to respond. 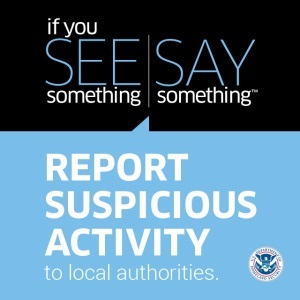 Call 9-1-1 when it is safe to do so, and provide important information such as the location and number of shooters, number and type of weapons used, potential victims, and an accurate physical description of the location and shooter(s). Run (evacuate): Can you safely escape? Hide: Is there a good place to hide out or secure-in-place? Know your organization’s emergency and evacuation plan. Have a safe route to escape and a plan in mind. Keep hands visible so law enforcement officers do not mistake you for having a weapon. Hide in a secluded area, out of the shooter(s)’ view. Block the entry to hiding places by any means necessary. Use tables, chairs, bookshelves, and other objects to obstruct entrance. Lock the doors, and cover any windows. Commit to your actions . . . your life depends on it. The priority of the first responders will be to identify the shooter and will need to ensure that you are not the shooter. Remain calm and follow all instructions given. Put down any items you may be carrying, such as jackets, bags, and keys. Keep hands raised with fingers spread. Hands should be visible at all times. Do not hold anything in your hands that could be mistaken for a weapon (including cell phones). Do not point, scream, or yell. Avoid sudden movements toward officers and running to them or holding on to them for safety. Do not stop to ask for help or directions while evacuating. It is important to move everyone as quickly as possible. Video - Run. Hide. Fight.